This page is dedicated to our fine Sponsors! Thank you for all you do to support the Traditional Archery, Traditional Bow Hunting, and Hunting Industry as a whole. 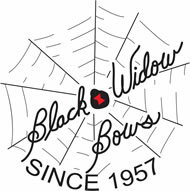 Thanks to all the Traditional Bow manufactures, for making those Great Custom Longbows and Custom Recurves. Thank you to all of those Professionals who make and sell other types of Archery Gear. Those of us who carry our trusty Trad Bow can sure appreciate a great Quiver, Custom arrow, or Broadhead. To all the Outfitters who go all out to accommodate the few of us who call ourselves Traditional Bow Hunters. Getting us closer than most and providing us with some really great adventures, we would like to Thank You for the extra effort involved in helping a fellow hunters dream come true!